Jessica rambles on her blog about being a mom and her views on life and popular culture. She will be writing for inALLcaps on a monthly basis and she loves to read comments, so make her feel at home! That grabs your attention doesn’t it! The first time I heard this, I was watching an episode of The OC and I thought the song was so fitting for the episode. A year or so passed and I gave this song no more thought, until one day randomly, Pandora spouted it from my computer. I stopped in my tracks and turned up the speakers, then frantically checked out the artist and song title which propelled my search to get my hands on it and everything else this band put out. 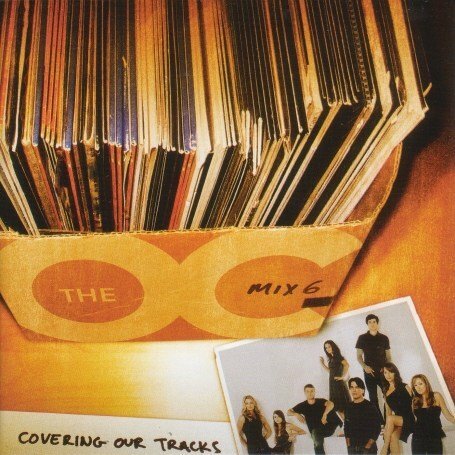 I discovered it was “The End’s Not Near, It’s Here,” a song by The New Year which Band of Horses covered for The OC Mix 6. I found two other albums by Band of Horses, which I wasted no time in downloading and repeatedly playing. They have a somber sound to them, but in the dark time of my life when I discovered them, I was somehow comforted and soothed by their soft angsty sound. Some of the song titles are head-scratchers, but the lyrics and the music are so powerful to me. Well I'd like to think I'm the mess you'd wear with pride. Like some empty dress on the bed you've laid out for tonight. It's like when you were a kid... You almost didn't pick up that penny on the ground because it was old and dirty, but you did it anyway and found a treasure: it was the shiniest pretty penny, and you were so proud of this little fortune. That's the picture that this song brings to mind to me, but throughout my life that penny, of course, is the metaphor for bigger things or people at one time or another. I get goose bumps when I hear this song. How long will you keep those people in your life who feed on you and drain you of all emotionality? One day will you wake up and realize that they ate everything you had to give? The slow pace of their songs and the words that cut through me and bring such emotion to the surface also manage to comfort me like a soft warm blanket. I think they are definitely worth a listen, so please, check it out for yourselves.